with a Silver Floral design. A Cadman Synthetic brush handmade handle turned in the M55 model with the handle having the new Silver Floral design. 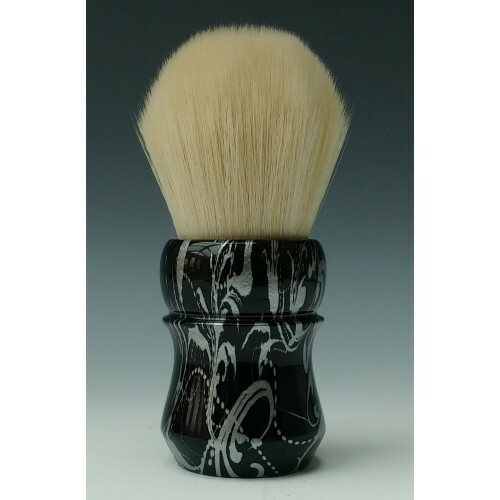 The Cadman Synthetic Cahsmere brushes are now available in 30mm knots and 24mm knots, the fibers on the Synthetic brushes are just amazingly soft and takes no time at all with whipping a creamy lather from any hard soaps or creams due to its immense back-back and water retention. 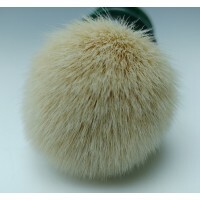 The performance of this knot has the ease of lathering of the common "plisson" style synthetic with some unique differences. 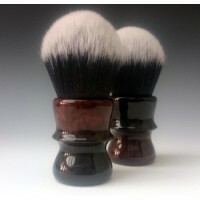 The knot has a similar feel to the "game changer" with similar tips to that of the "uber soft". 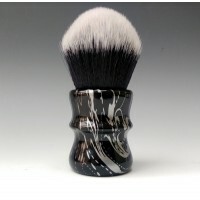 It seems to be almost a hybrid between the two. 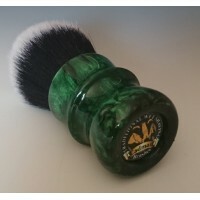 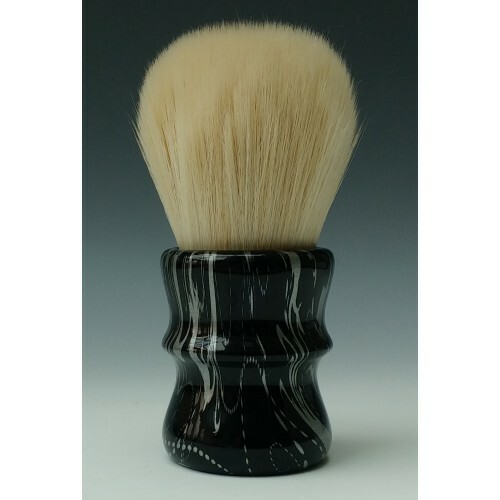 Another new creation form the Cadman range of shaving brushes, this one was sold in 5 mins of posting it on my platforms, it’s the M55 handle with the ever so popular 30mm Tuxedo Synthetic knot. 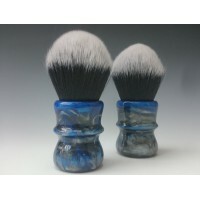 The loft is set ate 55mm one of my best selling brushes overtaking the Silvertips by far. 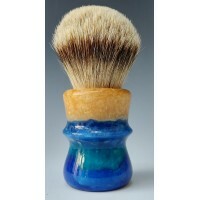 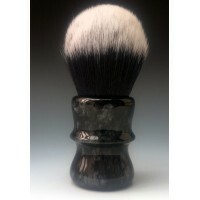 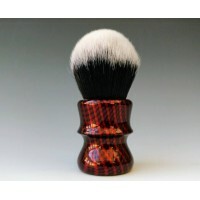 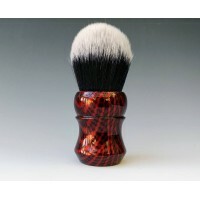 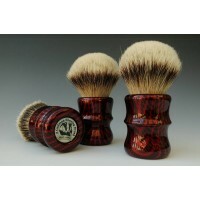 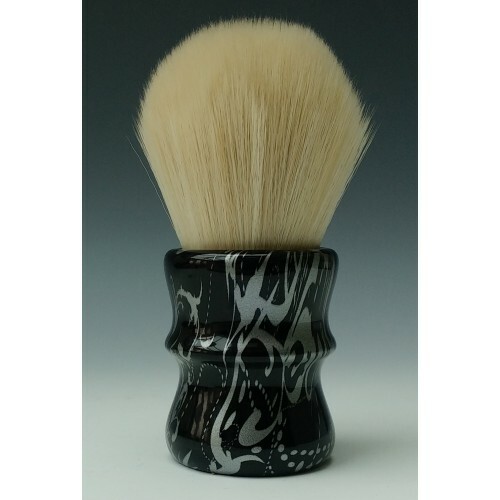 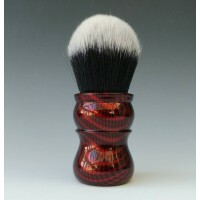 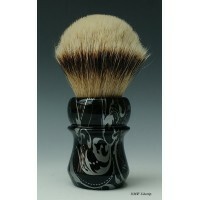 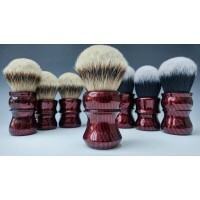 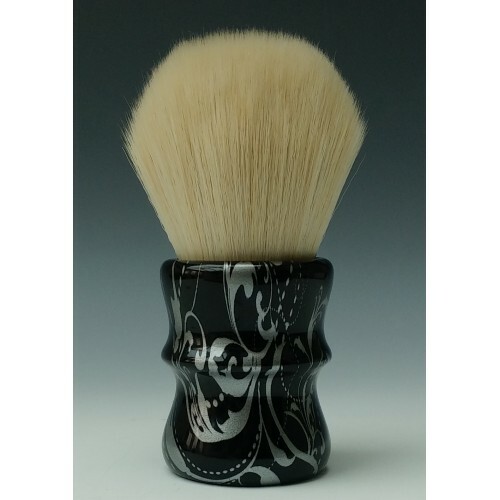 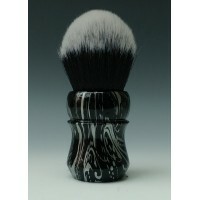 Other shaving brush handles are available with this colour effect.